Automation, algorithms, and AI are transforming not only business, but every facet of daily life. 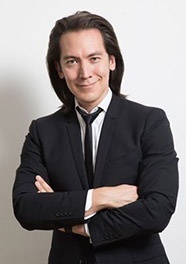 Mike Walsh will discuss how tomorrow’s leaders can upgrade their capabilities to survive and thrive in an age of accelerating technology. We live in an age of wonder – cars that drive themselves, platforms that anticipate our needs, and robots capable of everything from advanced manufacturing to complex surgery. Automation, algorithms, and AI are transforming not only business, but every facet of daily life. While many fear that robots will take their jobs, the rise of machine intelligence begs a more important question: what is the true potential of human intelligence in the 21st century? In this inspiring keynote, the business futurist and author of The Dictionary Of Dangerous Ideas and Futuretainment: Yesterday the World Changed, Now It’s Your Turn, will present a vivid portrait of a brave new world orchestrated by machines that think, and how tomorrow’s leaders can upgrade their capabilities to survive and thrive in an age of accelerating technology. Attendees will walk away with insights into the companies, technologies and global forces shaping the age of machine intelligence, as well as a set of tailored next actions on how to redesign their organizations, reimagine their roles, and reinvent the way they make decisions. Mike is the CEO of Tomorrow, a global consultancy on designing companies for the 21st century. He advises leaders on how to thrive in the current era of disruptive technological change. Mike’s best-selling books include Futuretainment and The Dictionary of Dangerous Ideas. Each week he interviews provocative thinkers, technology innovators and troublemakers on his weekly podcast, Between Worlds. A true nomad, Mike travels over 300 days a year worldwide, researching trends, collecting innovation case studies, and presenting on the future of business. A prolific writer and commentator, Mike’s views have appeared in a wide range of international publications including BusinessWeek, Forbes, and The Wall Street Journal. Don’t miss this inspiring keynote presentation, plus breakout sessions, networking events, and much more. Register now until midnight on July 31st, 2018, and you can still grab the $300 early bird registration rate and save $150!